The Young Folks team has come together to list the very best in entertainment and pop culture for the year 2015! As per usual in the entertainment industry, 2015 was ripe with talent, and plenty of actors and performers who have been in the business for a while now finally got roles that helped put them on the map for good. Musicians hit all the right notes, a comedian became a certified star and big budget, tent-pole reboots and sequels helped in the launching of what we can only hope to be successful careers. 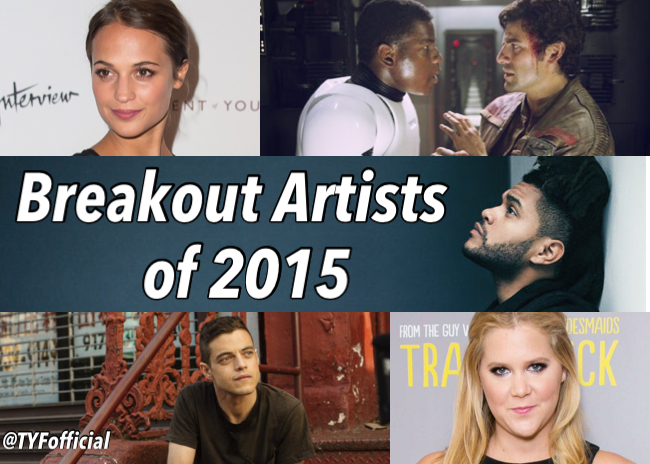 Take a look at who we picked for our Top 10 Breakout Performers of 2015, and let us know in the comments who would have made the cut for you.